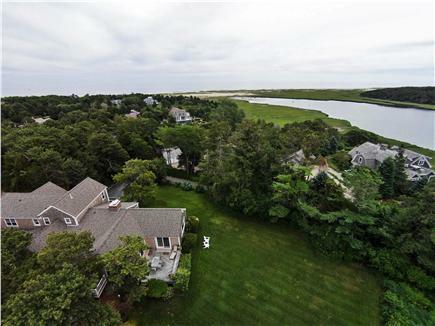 Water Views, Walk To Nauset Beach, 3 King Master Suites! 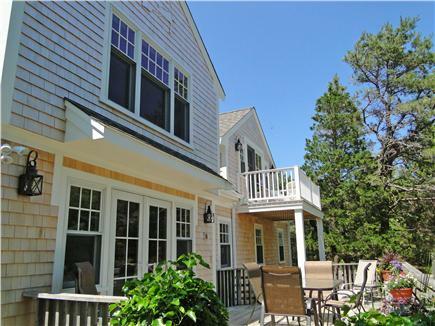 Enjoy nearby private access to the National Seashore. 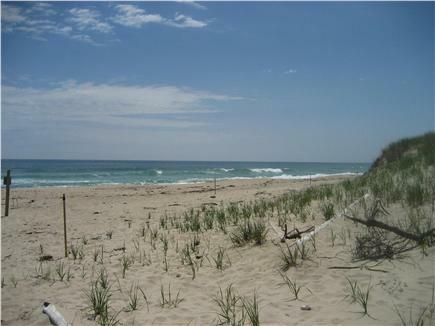 Then enjoy beautiful Nauset Beach! New for 2019: We're adding a year-round sunporch with heated tile floor, a sitting area, and a dining area, with access to an expanded deck. Pictures to come. Our home is set on a nicely landscaped 1.5 acres. It features central air conditioning, four bedrooms, three of which are en suite, fresh linens and towels, two decks and a third private deck off the second floor master, a brand new kitchen, a spacious living room, a family room with TV, a dining room table for eight, and ample parking. 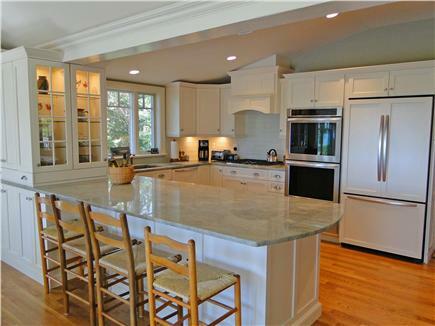 Our kitchen has granite countertops, a large breakfast island, two ovens, microwave, and warming drawer. It is well-equipped with spices and staple appliances. Two of the bedrooms are on the main floor, one is en suite and has a king bed and the other has twin beds. 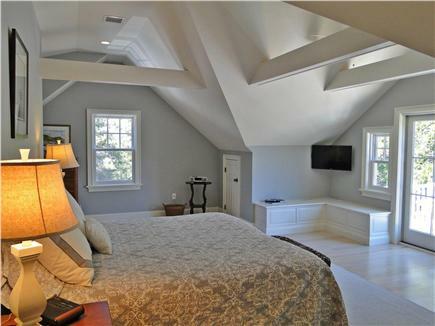 The other two bedrooms are on the second floor. One is a master suite, complete with a king bed, a private bath, and a balcony with a wicker bistro set and a distant ocean view. The first bottle of wine is on us! 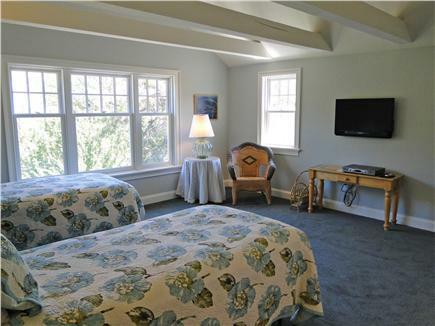 The second upstairs bedroom is a large room, also en suite, and has twin beds, which we can easily transition to a third king size bed. This room also has an oversized closet that some guests use as a nursery. 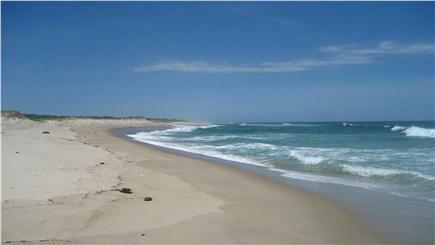 Our home is 4/10 mile from Nauset Beach, which The Boston Globe named the best beach for walking in all of New England. This private section of the beach is reserved for Pochet residents and their guests. We provide the beach chairs, towels, and beach toys, and there’s an outdoor shower to wash away the sand. The house is at the end of a quiet, dead-end lane, so if young children are outside, there’s never any concern about traffic. Our guests love the sprawling lawn and the hammock under the pine trees. Two first floor bedrooms, one with full bath and shower. About our green amenities: . --The electric vehicle charger is for a Tesla. --We have 32 solar panels. --Use our Britta filtered water or bring your own reusable bottle in lieu of buying single-use water bottles. --We have WeNeedaVacation.com grocery totes so that you won't need to use store's paper or plastic bags. Thank you, Heidi. I am so happy to hear that you enjoyed a well-deserved vacation at our home. Our goal is to provide a restful, relaxing atmosphere, and it sounds like it worked for you and your family. Come back sometime! Thank you for the lovely review, Lisa. Jeff and I are happy to hear that you had a wonderful vacation at our home, and we'd love to have you return sometime! 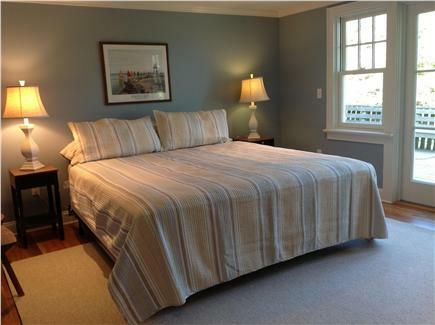 My husband and I stayed at Joan and Jeff’s Cape Cod home with two other couples. Their house is spectacular with a beautiful setting. It is well stocked, comfortable, well appointed, and very clean. 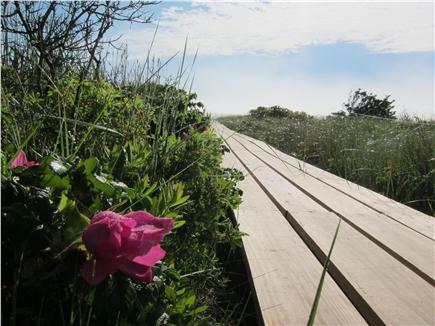 It is a lovely walk to the private ocean beach which is stunning. Joan was always available to answer any questions and helped to make the stay enjoyable. I highly recommend this beach home. We have rented very nice houses on the Cape for years but this was by far the best! Thank you for your lovely review, Debra. Jeff and I are so pleased to know that you enjoyed your stay at our home, and we hope you'll come back! We have stayed at this home for a few years and always feel like home when we are there. There are many personal touches that make you feel it is not a rental. The owner is responsive and the house is always in immaculate condition with lots of books and games. 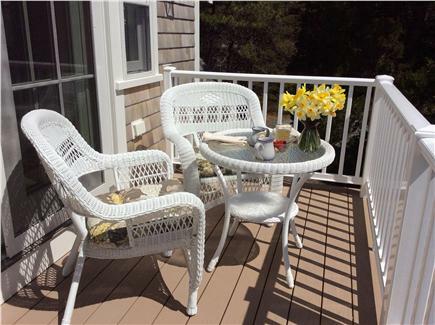 The location is great and the private beach is very accessible and secluded. Thank you, Mike. It's always nice to welcome you and your family back. I hope the tradition continues! Perfection - Look no further! Location - Perfect! 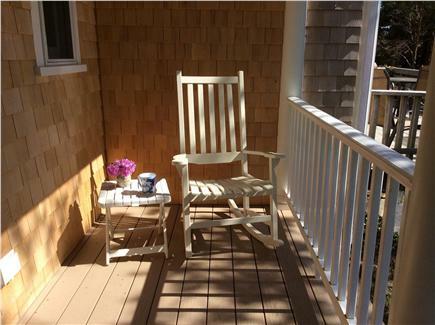 Private, walking distance to beach with water views all around! Decor - Perfect! Beautifully decorated with big living and sleeping spaces. Amenities - Perfect! We brought our clothes and bought food/drinks - everything else is provided. GIven that we have to fly to get there, this was fantastic! Owners - Delightful! Very helpful and great communication every step of the way. Jeff and I are so glad you enjoyed your vacation in East Orleans, Caitlin. Thank you for your complimentary words about our home. We look forward to having you back again next year! Our family fell in love with Orleans, and this home had a lot to do with it. Comfortable, spacious and beautifully decorated, it was the perfect backdrop for our Fourth of July vacation. I would recommend this rental for anyone looking for plenty of room to gather but also areas that are quiet and private. Everything was provided including sheets, towels and beach equipment, as well as plenty of cooking utensils and dinnerware. I would definitely consider renting this home in the future. We had an awesome time here. We've stayed in this home before and now that it's been so wonderfully updated, it was even better. We hope to return again soon! The Homeowners have been great to work with. I highly recommend this home---just don't come the weeks we want to be there. We have rented many homes on the Cape for family reunions, but this home is the one we will always remember as our favorite. The remodeling is beautiful, the floor plan open and spacious. And the kitchen for you cooks out there doesn't get better. All the decks provide unique and lovely views, esp. the one pictured. We miss this lovely home already and must return soon. Thank you, Joan, for your gracious generosity in sharing your home. Thank you, Anita. We're happy to know that you and your extended family had a wonderful "reunion." These vacations shared with family are so precious. Hope to host you all again sometime. When we first saw this home and its setting 20 years ago, my husband said his knees went weak. While we were simply looking for a small waterfront cottage for ourselves, we knew that this large home was for us, even if we would need to rent it. We have never regretted our decision. We’ve had 20 summers of wonderful tenants (one family has come all 20 summers! ), and we ourselves have had numerous family get-togethers and reunions here. To us, it is paradise. 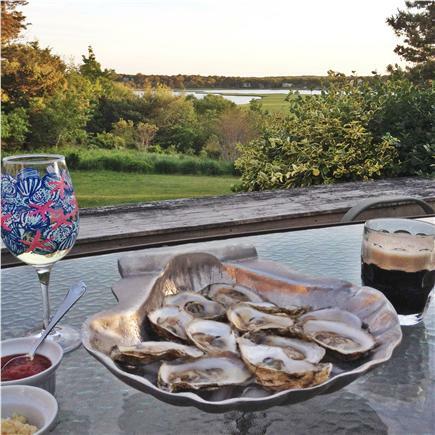 Although we have made many changes to our home over the years, including a huge renovation and addition in 2013, one thing remains the same – the water views, especially of Pleasant Bay from our back deck. Gazing over the marsh as the sun goes down is particularly magical. 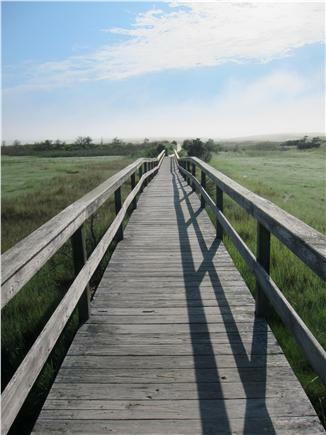 I love my daily early morning walks to Nauset Beach. It takes me seven minutes to walk to the boardwalk that crosses over the salt water river, the dunes, and to the ocean beyond. The community of Pochet is comprised of homes nestled among trees and along mostly gravel, sandy roads (speed limit about 10 mph). It's a very quiet, peaceful seaside neighborhood. If you have a kayak or rent one, there is a launching place just down the lane about 2 minutes from the house, but you must watch the tides and launch only at high tide, or you’ll be stuck in the mud. You can kayak in Pleasant Bay and even explore Pochet Island, which is privately owned but welcomes visitors. Alternatively, you can rent kayaks at Goose Hummock Shop in Orleans and launch from there into Orleans Harbor, which is also very beautiful. Our home is only about a mile or so from East Orleans Village, which has several wonderful restaurants, Barley Neck Inn and Nauset Beach Club; The Sundae School; a terrific market, Nauset Farms (everything from prepared foods to seafood to deli to baked goods and sandwiches); a pizza restaurant (Zia’s); and a few charming shops.